By this time almost all of you know that windows 8 developer preview is available for download. But the latest news is that Microsoft has already released a consumer preview of Windows 8. 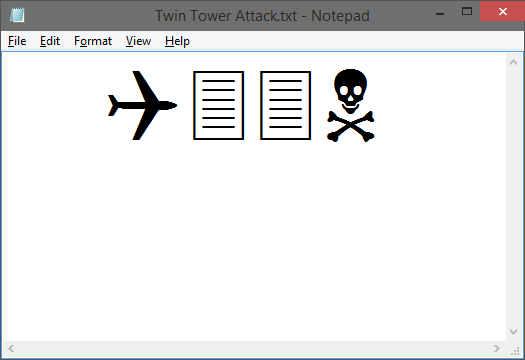 Twin Tower Attack Trick by Notepad! This post heading may surprise you! Is it possible to attack Twin Tower by notepad? Yes you can do this! And not only by notepad, you can do this by MS Word too. Notepad has many funny tricks. And today's trick is nothing but a mechanism of Wingdings font. Almost all of you are familiar with the Twin Tower Attack as on September 11, 2001. This attack is widely known as 9/11 attack. You might also know that the flight number of the plane that hit Word Trade Center was Q33N. Type Q33N in block/ capital letter. Choose Wingdings font from the Format menu. For better viewing, choose 72 as font size. And see the magic! You may call this trick a coincidence or something else but whatever it is, it was very shocking. Note: After applying this trick, all of your notepad documents will be converted into Wingdings font. And it may cause some problems. So, you've to change the font and font size to get the normal view back. Convert Text into Audio by Notepad!! In this post I am gonna show another amazing trick of notepad. Here you will learn how to convert text into audio using notepad. But you will just be able to listen the audio not save or keep it in your hard disk. Now you're almost finished! When you open up the file you will see a window like the right one. Now type your text in the blank space of the window and hit the ok button. It will speak your text loudly. Make sure your speaker is on. NB: By this trick you can also know whether your PC is male or female! Cheat Codes for GTA Vice City!! GTA Vice City was released several years ago. This is somewhat old game now. But even it is very popular in the gaming world. Specially this game is suitable for the beginner. While playing the game or at the pause menu, enter one of the following codes to activate the corresponding cheat function. If you entered the code correctly, a message "Cheat Activated" will appear. And never place a space between the cheats which has more than one word. Words are capitalized and separated so that they can be easily viewed and memorized. You should only type the words without any space and capitalization. Note 1: If this code is enabled when there is damage on your car, the meter will be reset to zero without changing the visible effects of the damage. Note 2: You will not be able to fly a helicopter correctly when this code is activated. Note 3: The women will drop guns when they are killed. Note 4: Repeat this code to cycle through the various pedestrian costumes, including a cop. Note 5: Aim your gun at someone and they will attack your target. Make a Diary Using Notepad! Most of the people know that notepad is used to create and modify plain text. But very little of them know about its useful applications. It has many tricks. In this post I am gonna show a small trick of notepad. 1. Go to run by press Windows Key + R then type notepad and hit enter. 2. Write .LOG in the notepad. NB: If you don't use this trick but wanna insert date and time in the notepad simply hit the F5 button of the keyboard. Laptop Vs. Desktop: Which one should you buy? Day by day the use of mobile PC (laptop, notebook, tablet) is increasing rapidly. Most of the computer users are no longer interested in desktop computer. Of course there are some logical reasons behind this trend. Laptop is portable, easy to move, smaller in size and so many. But this is a very rare case that a person use laptop but doesn't suffer a lot! Because laptops are not so strong like desktop PCs. They are small in size as well as small in capacity too! Repairing a desktop is relatively easy. But rearing a laptop requires some extra skills. Laptop is really a sensitive device. Anytime your keyboard or touch pad can be damaged. And this is not very easy to replace the parts of laptops. Though it might have warranty for around two years but when you give it to the service center they may give it back to you after several weeks. 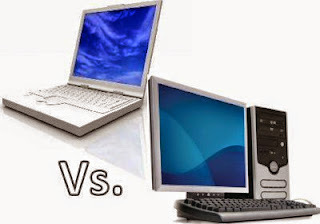 Now the question is what should a person buy- Laptop or Desktop? Well the answer depends on several factors. Computer experts suggest to buy desktop in case of heavy workload like Graphics Design, Gaming etc. But if you don't have works like that then you can buy laptop. Laptop is ideal device for net browsing, official works etc. But if you need to have a computer with you then laptop I mean mobile PC is the only one solution. So before buying any computer, first determine what will you do with it. Then buy laptop or desktop that meets your necessity. NB: If you wanna purchase mobile PC then don't go for notebook! Because usually it doesn't have any CD or DVD ROM and will cause you a great problem when the OS lost!! Sometimes you may need to analyze your system configuration. If your PC gets damaged and needs to take it to the service center then you should check the system configuration. Unfortunately if the experts of service center are dishonest then they might change your system. For example you have 2 GB RAM. They can replace it with an 1 GB RAM. Your Processor may be Dual Core. They can replace it with a Pentium 4 processor. With DirectX Diagnostic Tool you can see the detailed information about the hardware and drivers installed on your system. You can view the system manufacturer, system model, processor capacity, RAM, DirectX version, Video Card, Sound Card and so many. To open DirectX Diagnostic Tool, simply go to the Run by pressing Start + R, then type dxdiag and hit enter. Now a Yes/ No option may appear. Just hit on the yes button. Now you will see a window named DirectX Diagnostic Tool. Well in this window you can see several options ie. System, Display, Sound etc. System: In this tab you will find the Name of your PC, Current Date and Time, Operating System, Language, System Manufacturer, BIOS Version, Processor Type, Amount of Memory (RAM), DirectX Version etc. Display: Next to the System Tab is Display. Here you will get the Name, Manufacturer and Memory of your Display Driver or Graphics Card. Sound: You may notice 2 or 3 tabs about Sound. How many tabs you will see depends on the system and hardware you're using. Input: It shows how many input devices are connected with your PC. 2 most common inputs are mouse and keyboard. Any additional input devices should appear here. Stay with Marks PC Solution to get more . . .
Lost your Motherboard CD? Simply go to the Manufacturer's Web Site! 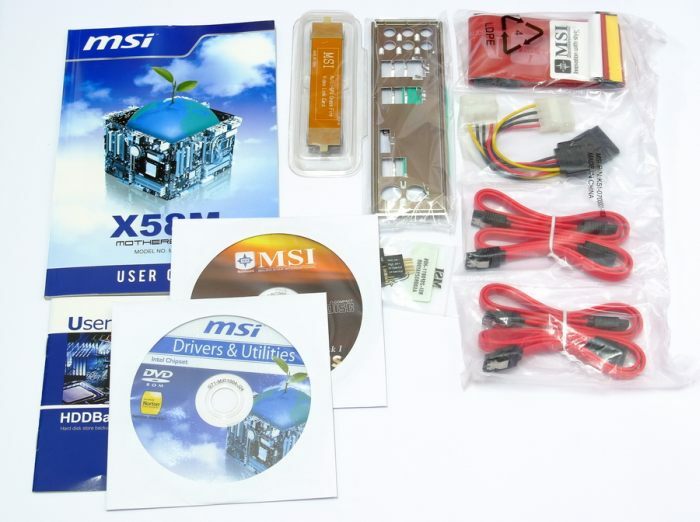 Every motherboard manufacturer and most of the other device manufacturers provide a driver CD for the hardware to make it compatible with Operating Systems. Except some plug and play device such as Monitor, Keyboard, Mouse, Speaker most of the other devices have a driver CD. But in case devices like printer, scanner, webcam, sound card, graphics the driver is essential. Even some modems don't work without external driver. At least 20 to 30% people lost their driver CD due to their carelessness! And when they re install the OS they lost sound and graphics options! And try to find a CD here and there. And unfortunately driver CD are not same for different models of devices. But it is very simple to recover the lost CD! You can find it from the manufacturer's website. For example, if you lost your HP Laptop's Driver CD, just visit www.hp.com. And Search by writing the device name and model in the search box. After visiting this sites, you may find several pages like Download, Help and Support, Support & Driver etc. You can either go this pages or simply search in the search box by entering the product name and model. How do you know what is the name your system manufacturer? This is also a common questions. Go to the run (press Window Key + R) and write dxdiag. Then hit the enter button. If a Yes/No Option appears hit on the Yes button. Now you will see a Window named DirectX Diagnostic Tool. You will find the details of your PC from here. Under the System Tab you will find system manufacturer name. This is your motherboard. Under the Display Tab you will find the graphics manufacturer name. Under the Sound Tab, you will find the sound manufacturer name. Download Audio, Video, Movie, Song from YouTube Using Firefox! YouTube is a popular site for video sharing. In fact sometimes it is more popular even than Facebook! Millions of users use you tube everyday. Often you may need to download audio/ video content from You Tube. Some of us use IDM or YouTube Downloader. Even many people don't know how to download You Tube Video! Now the add on will be installed and you will need to restart the Firefox. Now go to the You Tube and search for any video. Just below the video you will find a download button. Click on the download button and you will see a list of options. You can download it either in Audio or Video format, either high quality or low quality as your choice. If you wanna disable or remove the download option below the video, then just go to the Tools Menu, then click on Add ons, then click on extension and remove or disable the Easy YouTube Video Downloader. Disable means you will be able to run it again just by enabling it. But if you remove it, you will have to install it again by following the steps 1 - 5. And don't get confused. This is for Firefox only. Google Chrome users must read this post. 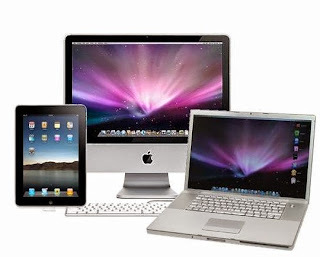 Any desktop, laptop or mobile devices like iPad or Tablet PC essentially needs an OS to operate. And there are numerous OS and OS manufacturers throughout the world. But most of them are out of competition. People only know about very few of them. In this post I am gonna focus on OS Usage Statistics of Micro Computer- Desktop, Laptop and Notebook. Windows: Software giant Microsoft secured the top position by their windows OS. This is the most widely used OS in the whole world. Specially in micro computers it has no strong competitors. More than 84% micro computers run on Windows OS. Few years ago, when it lunched Windows Vista, it faces serious criticism. But few years later when Windows 7 released Microsoft was able to recover their reputation. Now it is working with Windows 8. Trial of Windows 8 is available in the net. And hopefully within few weeks/ months it is going to be released with full features and support. Mac: Late Steve Jobs' Apple is famous for iPod, iPad, iPhone. But it also produce desktop and tablet. And their devices run on Mac OS. Not bad, but can't compete with windows due to its closed business system and high price of hardware. Though its market share is still very low, but there is a chance for them to grab Windows OS users. And they are always trying to capture the OS market. But Microsoft is really a tough friend as their chairman is Mr. Bill Gates! Isn't it? Linux: Now come to the world of open source software. Yes, I am talking about Linux. This is at the bottom of top used OS. It has different versions of OS and they are often released few times in a month. Some of them are well known to people. Such as- Ubuntu, Kubuntu, Lubuntu, Mint etc. Developers and IT professional like Linux and they are happy with it. But general people simply hate it due to its interface and complex system. If Linux wanna increase its share then it has no way if it fails to realize the users psychology. Others: There are many other OS too. But none of them are able to capture 1% of total market. List of other OS even may exceeds thousand! But nobody knows will one of them be able to access the top OS list or not. Here you can find the name of almost all OS. Your computer's basic input/output system (BIOS) is about to become history and be replaced by Unified Extensible Firmware Interface (UEFI). Without compatibility problem, it has no pitfalls. When you turn on your system, a primitive system that dates back more than 30 years, the basic input/output system (BIOS), turns your cold hardware into a functioning system that your operating system can then boot from. Can you imagine?! 30 years in the field of technology! Where things are changed within 30 seconds BIOS are surviving for 30 years! How can it be possible? Due to the compatibility problem this obsolete technology is surviving for a long time. Now it is time to change and upgrade. Hardware manufacturers are slowly replacing BIOS with the Unified Extensible Firmware Interface (UEFI). That's all well and good, but one UEFI feature, Secure Boot, could be used to lock PCs into being only able to boot one operating system: Windows 8. So, what's really going on here? Is UEFI just a way for Microsoft and its most loyal original equipment manufacturers (OEMs) to keep Linux and other alternative operating systems out or is it more than that? To answer that question, let's have a look at what is UEFI. If you've computer hardware business, you know that BIOS has been terribly back dated for decades. For example, a BIOS only has 1 MB of executable space. That means a BIOS has trouble to start up the multiple peripheral interfaces (USB, eSATA, ThunderBolt, etc.) devices, ports, and controllers on a modern Computer. Just as annoying, the BIOS was never meant to initialize more than a handful of devices so even if you can get all devices ready to go it will take up to 30 seconds after you turn the switch on before your PC is ready to start booting. Hardware manufacturers knew that BIOS was obsolete even before the 21st century dawned. But, until recently they couldn't agree on how to replace it. In 1998, Intel started work on the “Intel Boot Initiative” (IBI), later known as Extensible Firmware Interface (EFI). While Apple, in its Intel-based Macs, and HP, with its Itanium 2 servers, used it, the other OEMs and, needless to say, Intel's rival chip vendors, weren't initially keen on adopting EFI. In 2007, Intel, along with AMD, AMI, Apple, Dell, HP, IBM, Lenovo, Microsoft, and Phoenix Technologies, finally agreed to use UEFI (the re-branded EFI) as the universal replacement for BIOS. Don't mistake UEFI as being purely a BIOS replacement. It's not. UEFI is a mini-operating system that sits on top of a computer's hardware and firmware. Instead of being stored in firmware, as is the BIOS, the UEFI code is stored in the /EFI/ directory in non-volatile memory. Thus, UEFI can be in NAND flash memory on the motherboard or it can reside on a hard drive, or even on a network share! Even in a UEFI system there will still be a little bit of the BIOS in the firmware to enable UEFI itself to "boot" up. The first thing you'll notice about UEFI systems is that they boot faster and you can have even larger primary drives. The BIOS is unable to boot from hard disks with more than 2.2 TB. That's a hard limit set in the Master Boot Record (MBR) that you can't fix. In the BIOS MBR, the maximum space for a drive is determined by the formula: 2 to the 32nd times 512 bits. This is an old hard drive addressing scheme. What it means in practice is that all but the most up-to-date computers can't boot with hard drives that are larger than 2.2TB. With 3TB drives now becoming common, OEMs have no choice but to move to UEFI on high-end PCs. UEFI uses the GUID (Globally Unique ID) Partition Table, both to replace the MBR and address partitions. With GUID, you'll be able to boot from hard disks as large as 9.4ZB (zetabytes). How big is that? Well, everything -- and I mean everything -- on the Internet is believed to be just over 3ZBs. I don't think we have to worry about UEFI not being able to manage any drive it's likely to run into anytime soon. This post is all about some nice images of today's exiting products as well as technology with a brief discussion on it. If you're using Windows 8 then you don't need to purchase Anti Virus or Security Tool! Windows 8 has a built in antivirus program named Windows Defender. 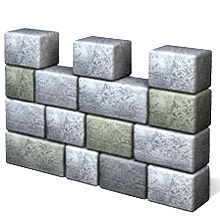 Windows defender was also included with windows vista and 7. But its functions were very limited. In windows 8, defender has been redesigned like Microsoft Security Essentials. The skin and interface of New Windows Defender is just like MSE. But maybe there are significant changes in case of performance. Earlier Microsoft released free security software for PC users- Microsoft Security Essentials. But it was not default. To enhance the security of new Windows, defender has been included with it. Certainly you'll enjoy this. Windows 8 should be genuine. Otherwise you will have several problems. So, Activate your Windows. No option to pause the scan. You can just cancel it. You can't scan the files just by right click on it! 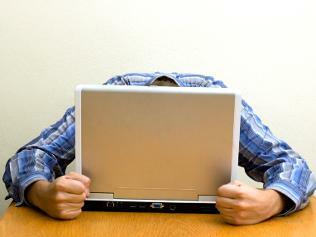 Security Software Providers like Kaspersky, Bit Defender, Avast are very angry! You can't clean the viruses before finishing the scan. Make sure Defender is turned on. Press Start and type Defender. Open it and go to the Settings tab. Click on Administrator and be sure that the option Turn on Windows Defender is marked. You can't scan files just by right click. To scan a flash drive or any other folder you've to open defender from Start. Then Home > Scan Options > Custom Scan > Scan Now > Choose your Files, Folder or Pen Drive > OK.
After installing Windows 8 please run a full scan. Quick scan is not necessary because after installing Windows your PC is normally free from virus. Scan options are available under the Home Tab. Auto Update is enabled. If you wanna update manually then go to the Update tab. Before hitting Update button, make sure you're connected to the net. After finishing the scan, if virus is found you will see a message at the top- PC Status: At Risk. Then you've to hit on Clean Computer button. You can manually select the action for each infected files. There will be options right to the infected files whether to remove, disinfect or allow them. If you're not sure about a file then leave it to the default action. Case: Sometimes your friends may tell you- MSE or Defender can't detect few viruses like Avast, Kaspersky or Bit Defender! And you might be confused after hearing this. You may think the database of MSE or Defender is poor. But keep in mind that MSE or Defender updates themselves twice a day. And they never detect unnecessary files unless it harms you. And they normally don't delete executable files. Rather they try to disinfect them. Personal Opinion: As I've used MSE for 3 years and now using Defender near about 1.5 years with no problems regarding virus, you can trust me. Both MSE or Defender are fully reliable. If you can use any of them properly, within a month you will ask- What is VIRUS? VIRUS- Vital Information Resources Under Seize. Windows 8 is the latest version of windows. Original version of windows 8 is not released it. Hopefully it will be launched within few weeks or months. Hardware manufacturer are also working to make devices that is compatible with this OS. But what about the current hardware. IT lovers wanna know about the requirements of windows 8. Microsoft says, if your PC supports windows Vista and 7 you will be able to run Windows 8 too. Sometimes windows 8 requires less amount of resources that windows 7! For 64-bit version, go here. For 32-bit version, go here. By this time, hopefully you all have already heard about Windows 8. Actually it is just a preview of original OS. Though it is a preview, I was very curious about it. In order to test it I requested one of my friends to download it for me. After getting it, I installed Windows 8 on my system and found a new world of computing! There is a revolutionary change in Windows 8. At first glance you may be lost your path in the wonderful options of windows 8. But keep using it for some days. You will just love it. You can find something more about windows 8 here. You might have a question. Will I be able to run windows 8 on my system? The answer is very simple. If your PC supports windows 7, then windows 8 will also run on it. Click here if you want Windows 8 Release Preview.